Hard drives are usually nearly silent but some do make a muted clicking sound when they're being accessed or turned off — this is completely normal. On the other hand, if you start hearing noises only occasionally or noises that you've never heard before — like clicking, grinding, vibrations, or squealing — your hard drive may be failing. Over at Datacent are some sample sounds of failing hard drives that might sound like what you're hearing. The steps below will help you determine if it's really the hard drive that's at fault and if it is, what to do next before all of your precious data is gone for good. This troubleshooting should take anywhere from 15 minutes to a few hours, depending on the cause of the hard drive noise. The very first thing you should do is make sure the hard drive is the actual source of the noise and not a different hardware component. See the section near the bottom called Other Noises a Computer Can Make for more on that. For example, if you unplug the power and data cables from the hard drive but you still hear the noise when you boot up the computer, it's clear that the issue is not with the hard drive. On the other hand, it's important to try every scenario to really pinpoint the source. If the noise is gone when the power cable is plugged in but returns when you attach the data cable to the hard drive, then you probably need to replace the data cable. See our guide on How to Open a Desktop Computer Case if you're not sure how to get into your computer. If you're certain the hard drive itself is at fault, run free hard drive diagnostic software, already available on many computers or available on the internet. The more advanced diagnostic software is also available for a cost from third-party software developers. When running diagnostics software, it's best to close down all other programs and unplug any other drives or devices that you aren't testing so that the results won't be skewed. At best, the diagnostic software will only mark the areas of the hard drive that are failing as "bad" and prevent the computer from using them in the future. It won't truly fix a hard drive that's physically failing. If any corrections made by the diagnostics software don't temporarily solve the hard drive noise, do a complete backup of your system and replace the hard drive immediately. See the first tip below for some ways you can back up your computer files. If the diagnostics software helps fix the clicking, grinding, or squealing noises, keep in mind that this is only a temporary solution. Chances are, the hard drive will continue to fail until it's completely unusable. The permanent solution is to do a complete backup of your system and replace the hard drive as soon as possible. However, on rare occasions when a hard drive is noisy only when you access certain data on your drive, it could be those specific sectors that are at fault, which some diagnostics software can repair. Your hard drive should now be less noisy. Since there's no good way to repair a failing hard drive, protecting your data by performing regular backups is essential. With an up-to-date backup, recovering from a hard drive failure is as simple as installing a new drive and restoring your data. The best way to back up your data is with an online backup service because your files are kept in the cloud and less susceptible to being lost or destroyed. However, a faster method is to use a free backup program — some of these programs can even clone the files from the failing hard drive and put them on a new, working hard drive. Solid-state drives (SSDs) don't have moving parts like a traditional hard drive, so you won't hear one failing like you can with a spinning hard drive. External hard drives make noises, too, not just internal ones. These noises are typically heard when the drive is first connecting to the computer, and are often caused by a power or cable connection issue. You can try fixing noises from an external hard drive by plugging the power adapter directly into the wall instead of a power strip, using a shorter USB cable, using USB 2.0+ ports, or connecting the hard drive to a USB port on the back of the computer instead of the front. Always be sure your USB port is working correctly, too, of course. A fragmented hard drive creates a higher demand for its hardware components to move than one that isn't fragmented. 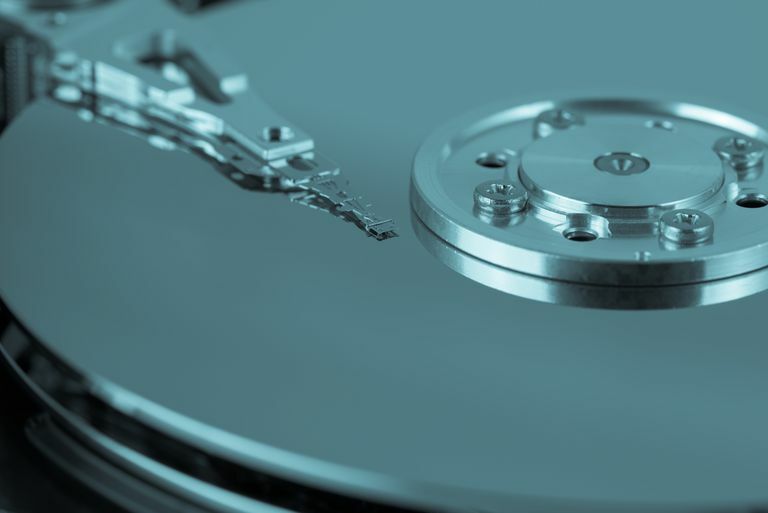 You can use a free defragmenting program to help extend the life of your hard drive, but it probably won't fix the problem in most noisy hard drives. If your hard drive is making noise, it means it's powered on. However, you might not be able to boot to the operating system to use your files normally. See Can I Recover Files From a Dead Hard Drive? if you need to get your files off of a failing hard drive. Although it isn't common, it is possible that a hard drive noise is due to a faulty device driver. See How to Update Drivers in Windows to learn how to update a hard drive driver. The hard drive isn't the only component in a computer. You also have a power supply, fan, disc drive, and other things that might be making noise. It's important to recognize where the noise is coming from so that you can understand what needs to be looked at. For example, if your computer is working in overdrive for a specific task, like a memory-hogging video game, it's normal to hear the fan running faster to keep the hardware cool. There might instead be something stuck in the blades of the fan that's causing a strange noise. See How to Fix a Computer Fan That's Loud or Making Noise if you think the true source of the strange sounds is actually one of your computer's fans. When you open a certain program or window on your computer, you might hear a noise increasingly becoming louder — one that's easy to mistake for a hard drive noise. This most likely means there's a disc in the disc drive that's spinning faster than it previously was so that the computer can read data from it, which is normal. Popping or static noises from the speakers might also be mistaken for hard drive noises (the cable might not be firmly attached to the computer plug), as might some BIOS beep codes and high-pitched whines. How Do I Replace a Hard Drive? What Is a Hard Drive Activity Light?